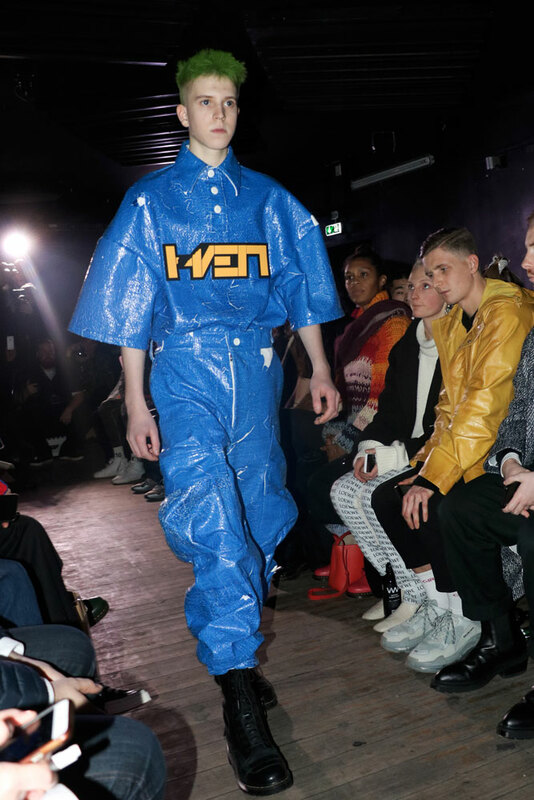 The Paris Men’s and Haute Couture Fashion Week is done, which means Copenhagen Fashion Week begins. 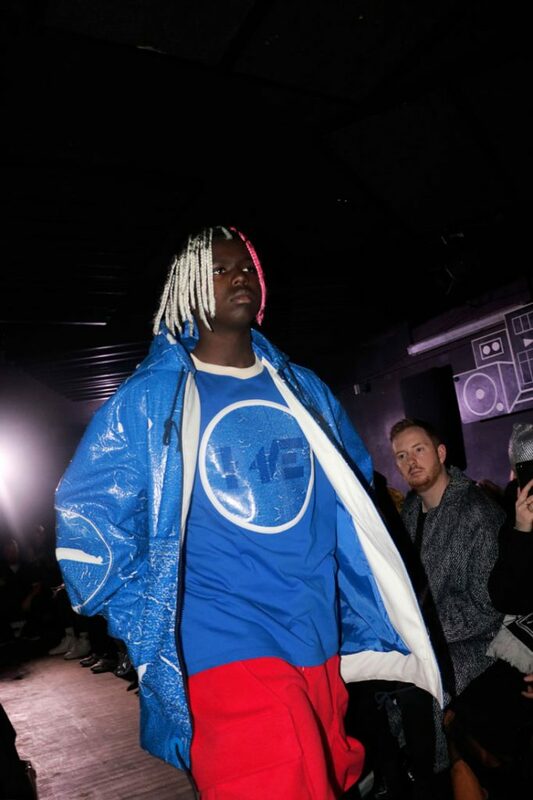 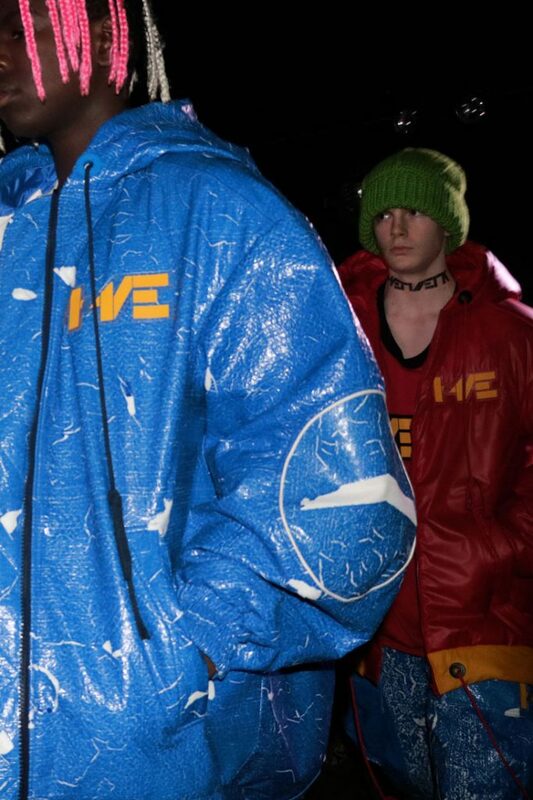 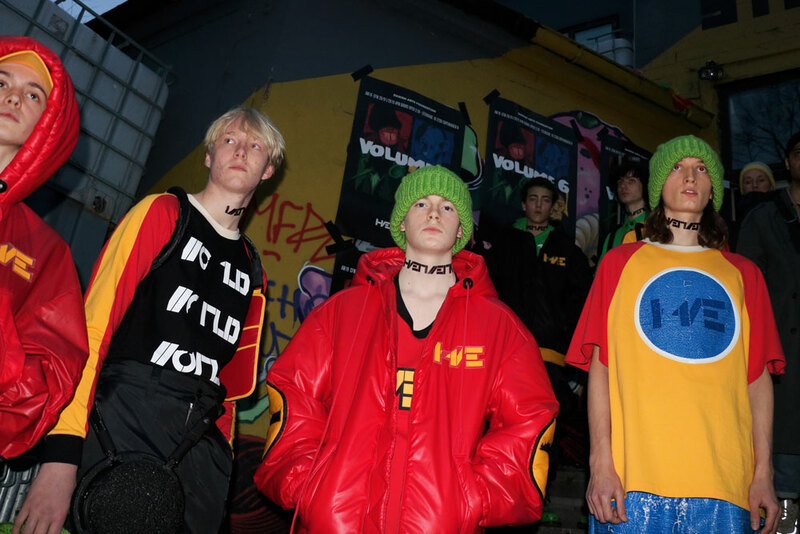 On the first day of CPHFW for the Fall/Winter 2019 collections, Hærværk presented its « Volume 6 » a coming of age inspired collection true to their philosophy, celebrating a colorful youth from the mid ’90s, inspired by Larry Clark’s kids. 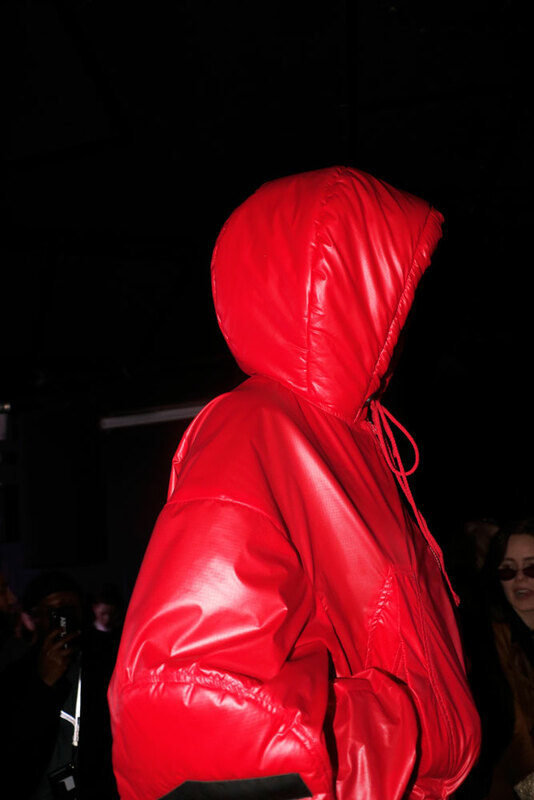 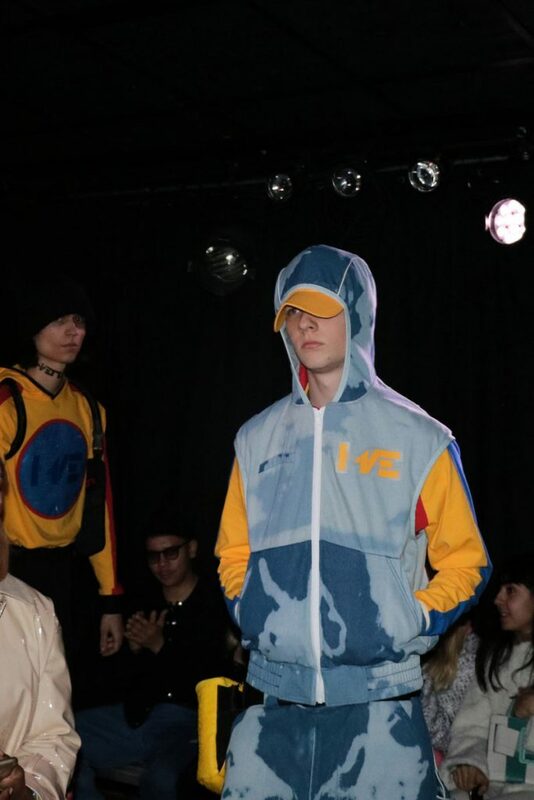 Using strong primary colors the designer referenced childish simplicity reflecting the raw feelings and impulsive reactions of teenagers. 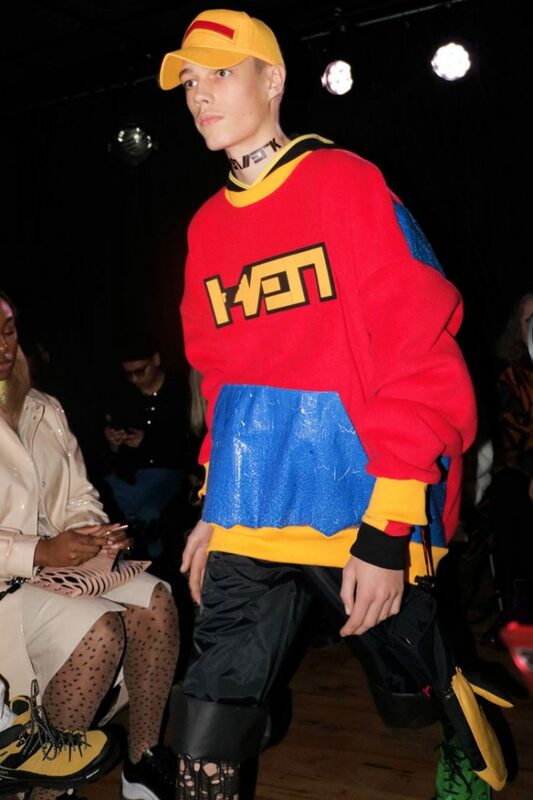 The lazy goofy faces and aggressive runways during Haervaerk’s show radiated rebellious energy of pop culture. 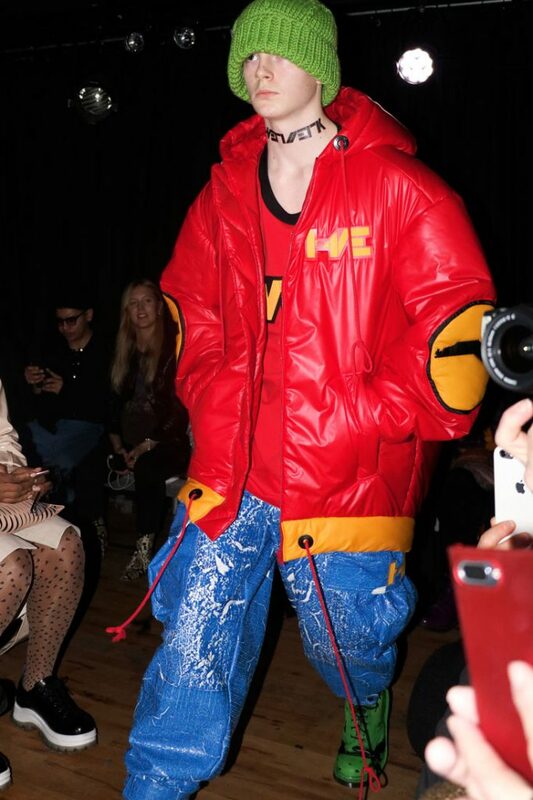 It’s a caricature of those bold and brazen lego kids that aren’t ready to grow up which could be seen through their overdimensioned pieces. 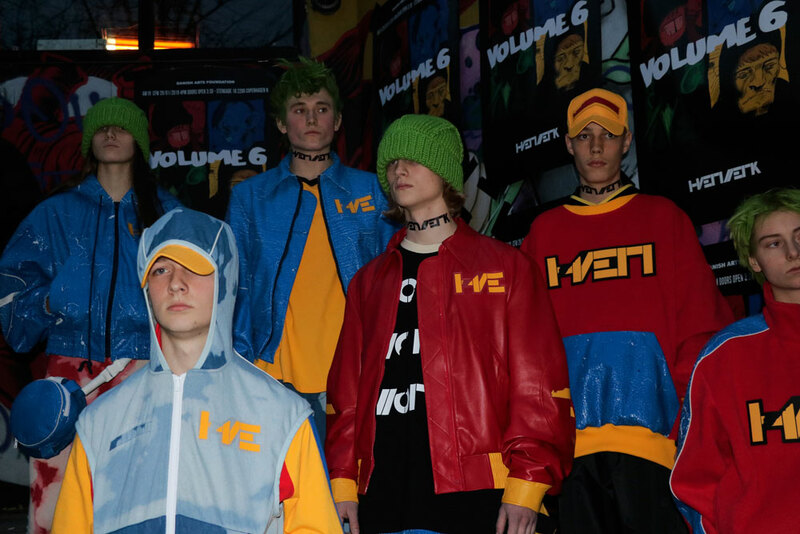 Haervaerk’s philosophy or muse was a big part of their « Volume 6 ». 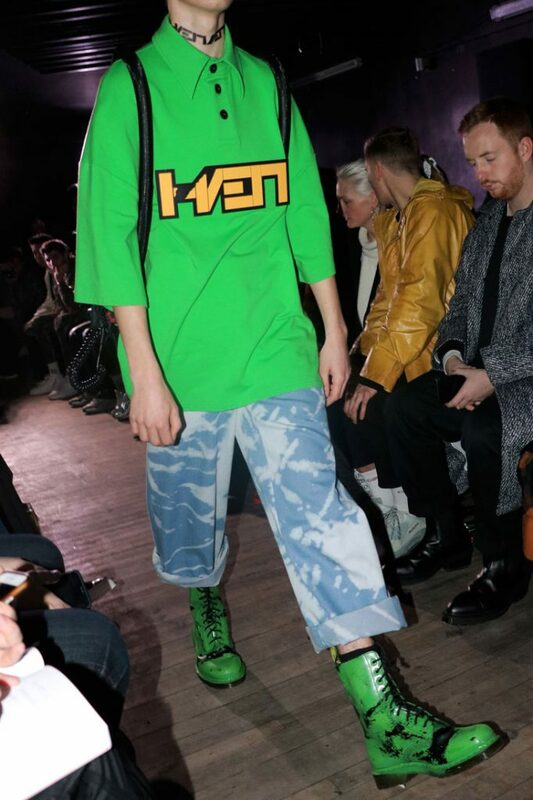 We saw neck tattoos, which we loved, and dyed hair matching the carelessness of Haervaerk. 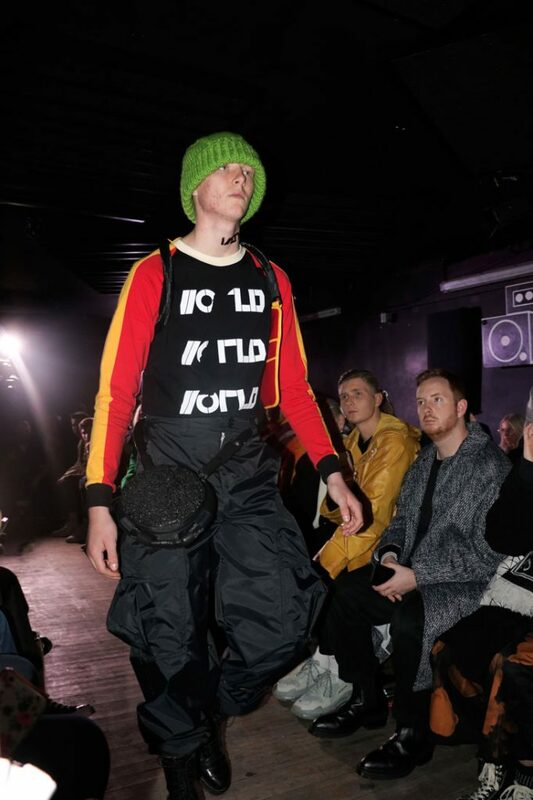 We even saw some references to video games which enhanced the creative and playful spirit of this AW19/20 collection.